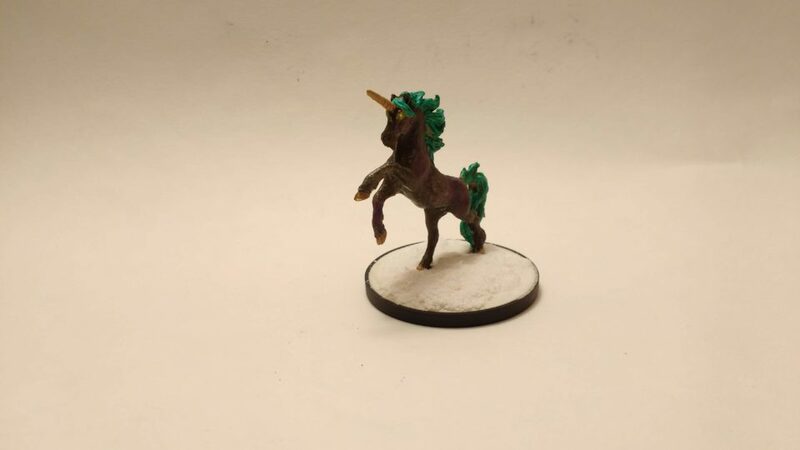 I ordered the Starmane miniature for a “Unicorn” NPC in my current Celestial Winter campaign. 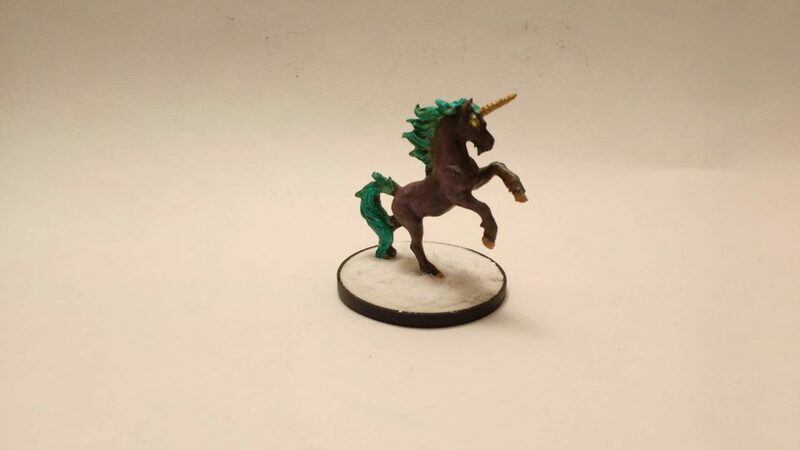 No complaints about the sculpt – it’s fantastic – but I was disappointed by my paintjob this time around. I like how the mane turned out but was let down by the body. I really wanted to capture a star-field/nebula effect or similar, instead I painted over failure after failure until settling on the simple color shift effect seen here. I used splotches of various color shift paints to salvage the body – ending up a decent effect in good light but, again, not quite what I wanted. Gold on the horn and hooves. I tried to create a glowing effect on the eyes…I think one succeeded nicely while the other did not. Snow again on the base because it looks good and is so easy!